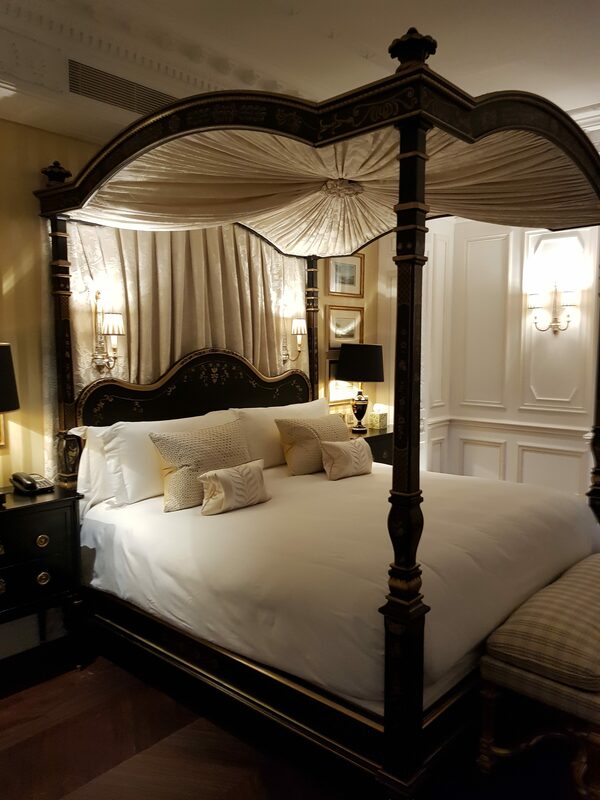 I recently had the pleasure of experiencing the luxury and grandeur at one of London’s most iconic hotels for a night, of course, I am talking about The Savoy. From the moment I walked down the driveway and through the revolving doors, I felt like a VIP. 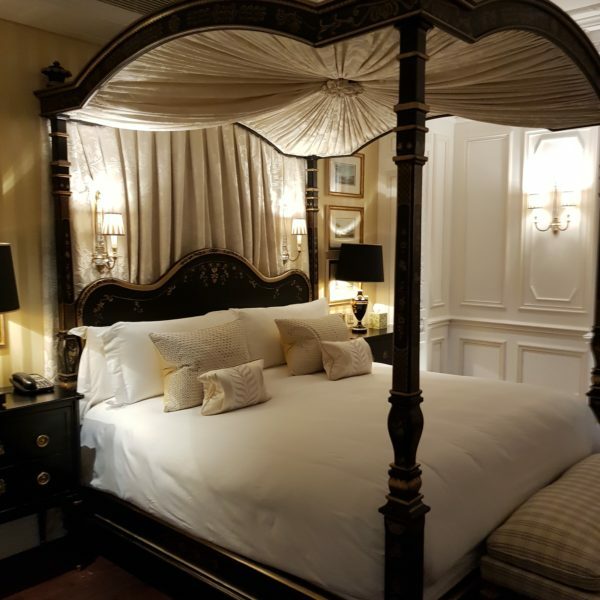 Whether you are checking in to one of the hotel’s entry-level rooms (which can certainly not be called ‘standard’), or a suite, be prepared for stunning décor, beautiful views, and a luxurious bed. 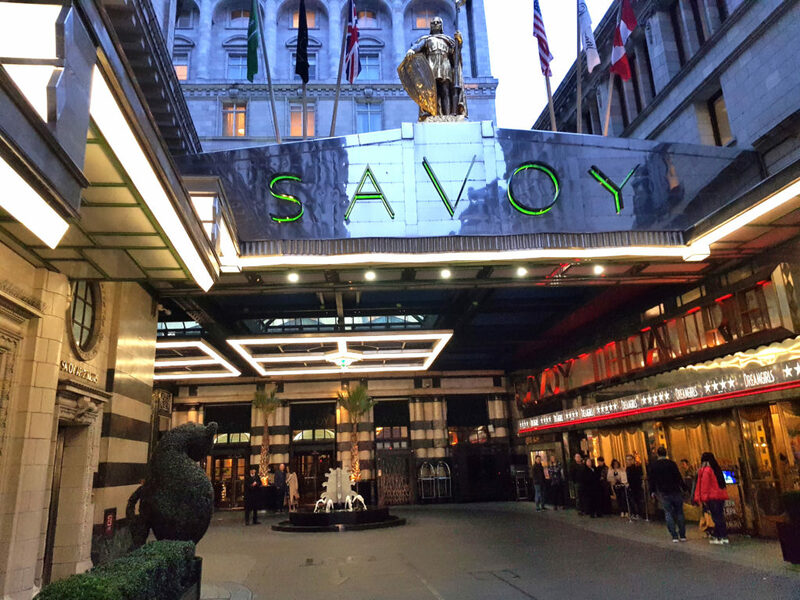 If you are as lucky as me and get to stay in a Junior Suite category or higher, you can also benefit from The Savoy’s 24-hour butler service – including In Suite Check In, a welcome Drink on arrival, and a personalised wake-up call with Tea and Coffee. 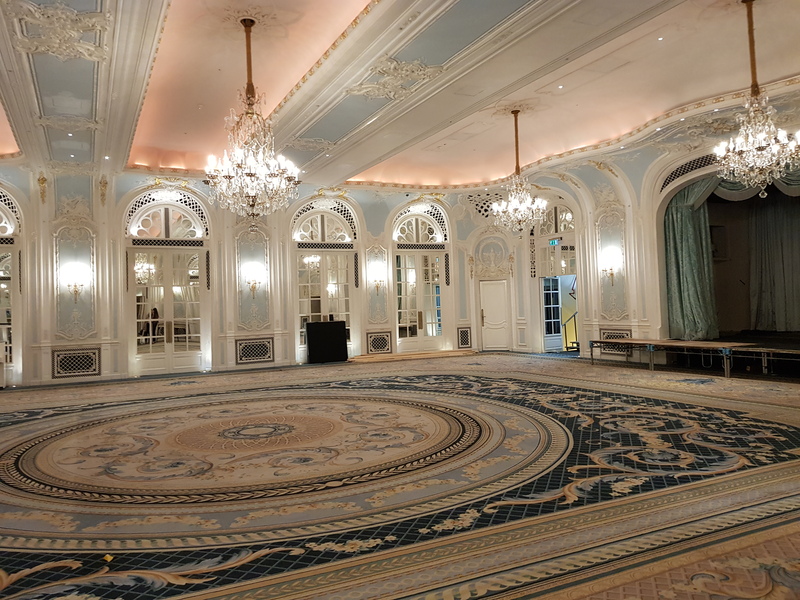 During my stay, I had the chance to take a look around the other facilities offered by the hotel including the Meeting and Events spaces, Restaurants, and Bars. 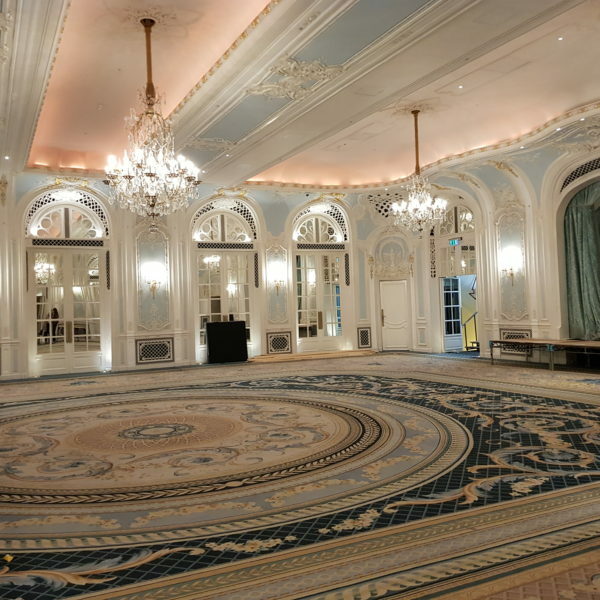 The Lancaster Ballroom is beautifully decorated, with a high carved ceiling and chandeliers creating a stunning backdrop for any event. Film buffs will also recognise the space from one of the final scenes in the film Notting Hill. The smaller meeting and private dining spaces are also just as stunning and all individually styled. My personal favourite of these is the Gondoliers room, with hand-painted murals depicting Venetian waterways. The room is bright and lends itself well to both daytime and evening events. 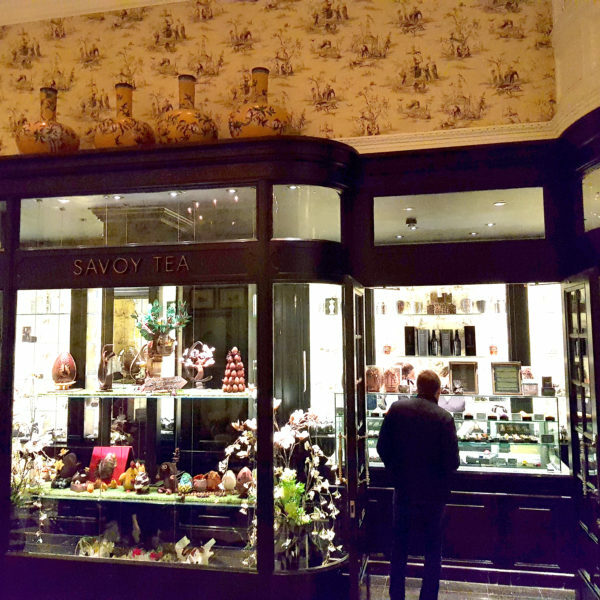 Other facilities include a Master Chocolatier’s boutique; The American Bar (voted Best Bar in the World 2017! 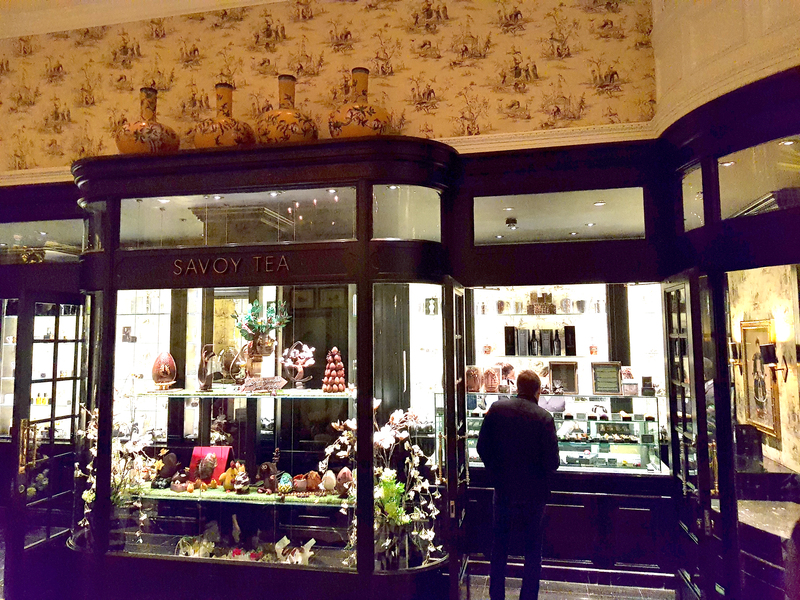 ); three Fine Dining Restaurants; and of course, who could forget the world-famous Savoy Afternoon Tea in the Thames Foyer. 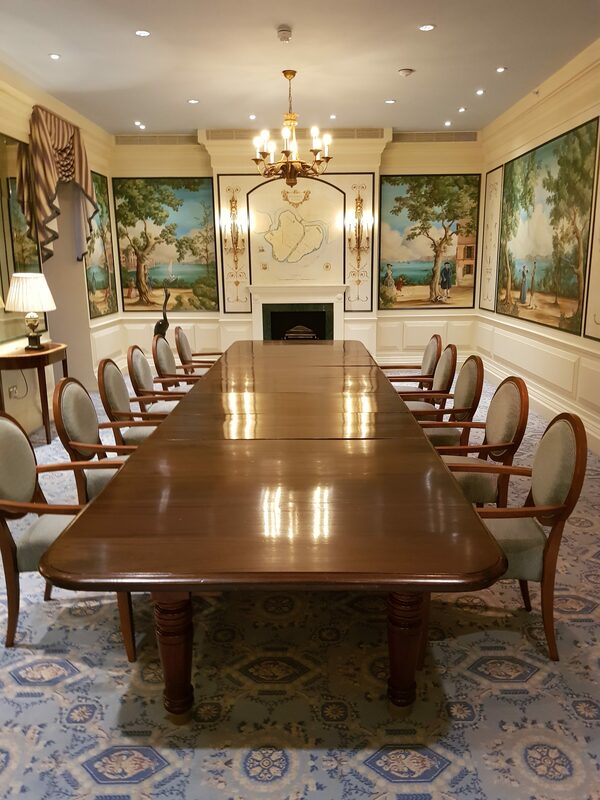 The tobook team prides itself on offering inspiring venue options for our client consideration. 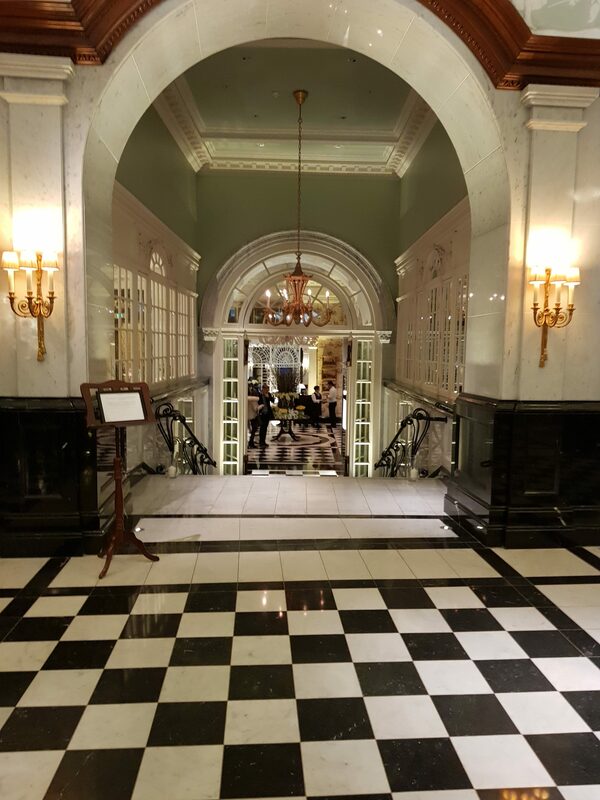 We are personally visiting and experiencing as many hotels and venues in the UK and overseas as possible – that way we can really know that proposals are fulfilling our client brief to best effect. NEED SOME INSPIRATION FOR YOUR NEXT EVENT? 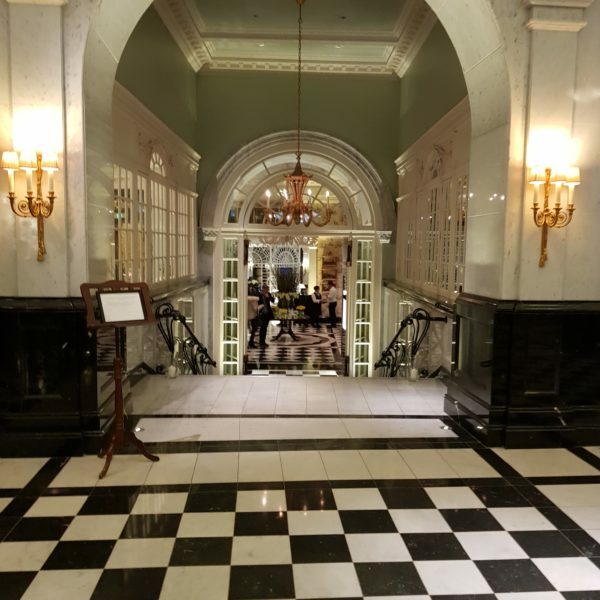 The Clayton Hotel, Birmingham – A Re-Brand Success Story? 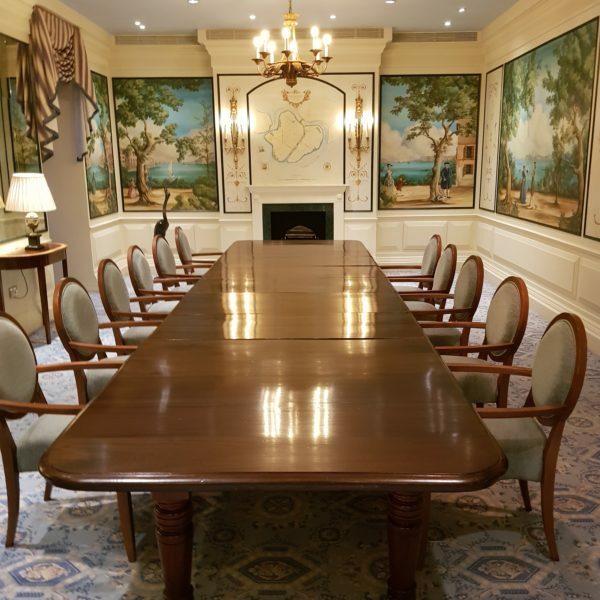 Historic Hunton Park Hotel – Is This Your Next Meeting / Event Venue?